NHF has a number of core partners and collaborators with a direct vested interest in our work, as well as a growing list of sponsors that help expand our reach and influence in the Permian Basin and beyond. Under its Cooperative Research and Development Agreement (CRADA), New Horizons Foundation is working directly with ARDEC in the transition of technologies. ARDEC is a preeminent national and international leader in research, development, engineering and production support for defense armament systems. ARDEC has partnered with NHF to accelerate the development and transition of new technologies for the Department of Defense. 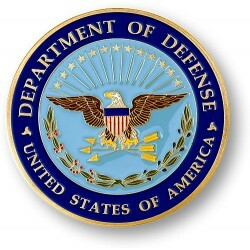 The Department of Defense is the executive branch department of the federal government charged with coordinating and supervising all agencies and functions of the government concerned directly with national security and the U.S. Armed Forces. New Horizons Foundation has signed CRADAs with the DoD, giving the foundation access to any Army, Navy, Air Force or Marine research labs, including their people, resources and capabilities. The agreements between the DoD and NHF allow any company that wishes to work with NHF the power to access the labs through the NHF/DoD agreement. PEMCO of New Mexico, Inc.
PEMCO of New Mexico, Inc., which began operations in Lea County in 1965, is a supplier of well service rig parts, specializing in obsolete and custom parts and custom fabrication meeting or exceeding the Original Equipment Manufacturers’ (OEM) specifications. PEMCONM has the capability to start and finish every job it accepts, due to a variety of equipment and tools and personnel knowledge and experience. With a reputation for precision machining, PEMCONM is a complete welding, fabrication and design facility, serving not only the petroleum industry but also the wind generation, electric power plant and centrifuge enrichment technology industries. Located on the Northwestern Shelf of the Permian Basin, Lea County is home to the most important oil discovery in the history of the State of New Mexico. The county has established multiple entities and facilities in support of this important industry, including the New Mexico Junior College’s Energy Technology Program and the New Mexico Small Business Development Center. New Mexico Junior College is a comprehensive community college offering associate degrees in science, applied science and arts. In addition, NMJC has several certificate programs in academic areas and in vocational trade areas. More than 640 courses of study are offered annually through NMJC’s two instructional sections: Arts and Sciences and Business and Technology. Students from around the United States and the world comprise the current enrollment of 3,239 students. NMJC fields NJCAA Division I teams in men’s baseball, men’s and women’s basketball, men’s golf, women’s track and field, women’s cross country, and men’s and women’s rodeo.